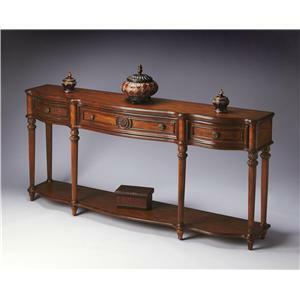 The Butler Loft Console Table is a rectangular console table with one central drawer and one exterior shelf for extra storage. 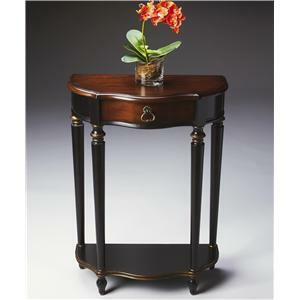 It is an elegant piece of furniture for your entryway or the foyer. 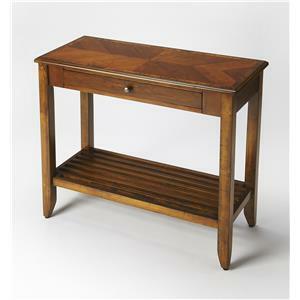 This Loft console table from Butler has a solid wood construction. 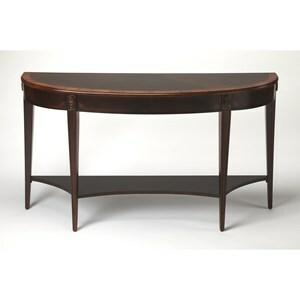 The expert craftsmanship is evident in every line of the table which is handcrafted from selected hardwood solids and wood products. A dual tone effect has been achieved with great precision. 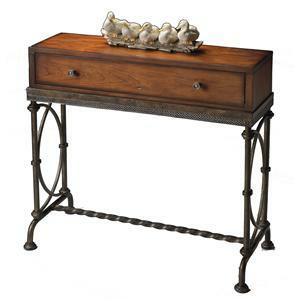 The glossy finish and the distressed look have enhanced the timelessness of the piece. As a result, you can easily pair it up with any piece of furniture whose style may vary from traditional to rustic or mixed. The central drawer is spacious and handy for storing items like your keys or the purse. 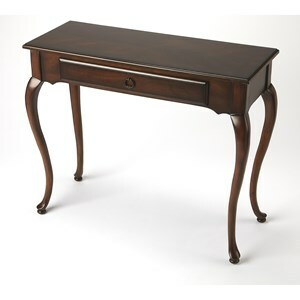 The knob handle adds to the clean line of the design of this piece. 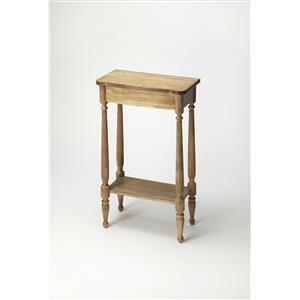 The table is supported by four legs which taper slightly at the end. The exterior shelf has a distinctive design of horizontal slats. It is set low so that you can store or display larger pieces. 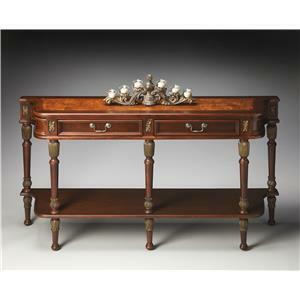 The Masterpiece Irvine Olive Ash Burl Console Table by Butler Specialty Company at Mueller Furniture in the Lake St. Louis, Wentzville, O'Fallon, MO, St.Charles, St.Louis Area, MO Furniture Store and Belleville, Shiloh, O'Fallon,IL area. Product availability may vary. Contact us for the most current availability on this product.